Are you wondering what the most effective way of losing extra pounds is? You won't find a faster solution anywhere else! 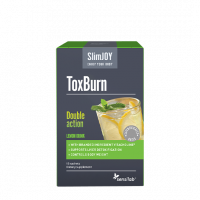 T5 fat burners are known for their extra strong thermic action which means that they offer outstanding effects in a short period of time. T5 Super Strength is especially exceptional because its effects can be multiplied by 5! 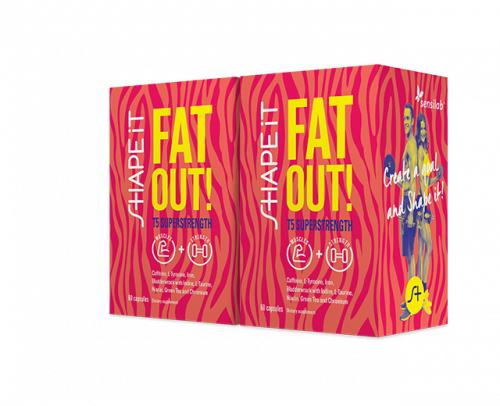 In addition to accelerating fat loss and supplying you with extra energy, it also prevents hunger attacks, boosts metabolism and regulates hormone action for the fastest possible weight loss effect. Our team of scientists have picked the best combination of ingredients that offer maximum synergistic effect. But T5 Super Strength deserves the title of weight a loss capsule with super powers because of a very special reason: it soothes physical and mental stress. When we're under stress (physical or mental) it's almost impossible to lose weight. Studies have shown that we eat up to 1000 calories more when we're under stress and tired. In addition to that fat loss slows down considerably when we're not feeling safe and relaxed. 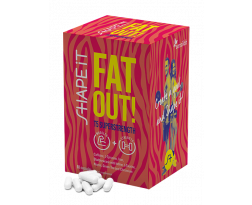 With the combination of 8 top quality ingredients T5 Super Strength will relax you and, at the same time raise your energy levels sky-high. 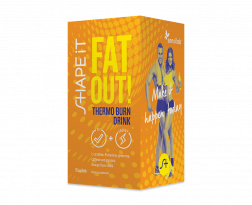 This combination of patented caffeine and green tea will boost your metabolism, fill you with energy and prevent storing of fat. Lipofer™ is a patented form of iron with better absorption than regular iron, which means that your body will utilise it better. More oxygen will get to the cells in your body and you'll be able to burn fat and sculpt your body faster. The brown seaweed is rich in iodine. Iodine ensures normal thyroid and hormone function. In combination with amino acid L-tyrosine, which is also crucial for thyroid hormone production, it will make weight loss easier. Many people can't lose weight due to less than optimal thyroid function. We've kept them in mind too! Vitamin B3 or niacin is key to a well functioning metabolism and the process of turning fat into energy. It plays a role in more than 60 different reactions that help turn food into energy! Because it also takes care of nervous system function, you'll notice more stable mood, fewer emotional hunger attacks and feeling full longer. To make this effect even stronger, we've added chromium to our super-powered capsules. Its effects on maintaining blood have been scientifically proven. Why is this good for you? You'll have fewer cravings for sweets, carbohydrates and highly caloric foods. This amino acid maintains electrolyte balance and body hydration, it's crucial for bile production (bile is needed for digestion of fat and fat soluble vitamins (A, D, E and K)), it removes toxins from our body and protects our cells. Dietary supplement. Contains caffeine. Not suitable for children and pregnant or breastfeeding mothers (caffeine content: 344.8 mg/2 capsules). Ingredients (in 2 capsules): Coffeine™ [natural caffeine] 340 mg, L-tyrosine 250 mg, Lipofer™ [ferric pyrophosphate] 216 mg (iron 18 mg - 128.6% NRV*), brown seaweed algae extract 200 mg (iodine 200 μg & - 133.3% NRV*), L-taurine 100 mg, nicotinamide (niacin 90 mg - 562.5% NRV*), Phytofare™ [green tea leaf and bud extract with 95% total polyphenols, 42% EGCG and 6% natural caffeine] 80 mg, anticaking agent: rice concentrate, chromium picolinate (chromium 120 μg - 300% NRV*), capsules: hydroxypropyl methylcellulose. Use: The recommended daily intake is 1 capsule twice per day with a glass of water after a meal. If you're having trouble sleeping, do not take this product after 3 PM.